nbkc bank mortgage loans cover both purchase and refinancing loans, including VA and FHA loans. nbkc bank uses advanced algorithms to speed up the loan approval process. You can select from a range of repayment terms; there are no obligatory lender fees; and most of all, nbkc bank has a very high reputation for excellent customer service. nbkc bank is a national bank and mortgage lender based in Kansas City, Missouri, that offers a wide range of repayment terms for home purchase and refinancing, as well as FHA loans and VA loans. nbkc bank stands out for good customer service and no obligatory lender fees. 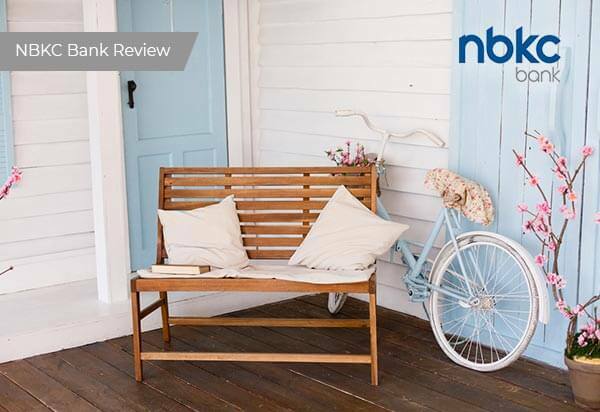 nbkc bank mortgages are best for borrowers with a credit score of at least 620 for the lowest rates. nbkc bank loans are ideal for first-time buyers and veterans, thanks to the strong customer support, VA loans, and FHA loans for first-time buyers. Home buyers can get a conventional fixed-rate or variable-rate ARM mortgage. Average APR: Beginning at 4.839% for a 30-year fixed rate. FHA mortgages are available for qualified first-time buyers. FHA mortgages require a lower minimum down payment and are easier to qualify for than conventional mortgages. nbkc bank’s FHA refinancing allows you to move all or part of your existing mortgage debt to another loan. You can do this to release equity in your home, or to lower your mortgage payments. If you choose FHA Streamline refinancing, you can lower your mortgage payments or switch between a fixed- and variable-rate mortgage, but you can’t take any cash value out of your loan. This is a refinancing loan offered to homeowners with Fannie Mae mortgages whose homes have been depreciating in value. Refi Plus is a refinancing option that permits you to skip PMI payments, even if your home equity is below 20%. Veterans are eligible to apply for a VA loan, that comes without any lender fees or origination fees and with special low rates. You can complete your application online or over the phone. The nbkc bank portal allows you to track the progress of your application. You’ll also be connected with a loan officer, who’ll share his or her phone and email details so that you can ask for help whenever you need it. Because nbkc bank only has 4 branches, you won’t be able to get in-person support unless you live in or near Kansas City. You’ll sign the closing documents at a local title company or your attorney’s office, or in some cases, wherever you choose--a notary will come to you. nbkc bank aims to provide speedy quick loan closings, but there’s no specific information about how long you can expect it to take. However, nbkc bank doesn’t have live chat at all hours, and phone support is only available during business hours. There’s no information online about loan fees, what documents are required, and how long it takes for your application to be processed. You need a high credit score to qualify. nbkc bank charges a flat fee for mortgage origination of $675, and you can choose whether or not to pay lender fees. Unusually, nbkc bank invites borrowers to choose how much to pay in lender fees in exchange for lower interest rates. For example, a 30-year fixed rate loan for $300,000 revealed interest rates of 4.893% APR with fees of $450, or APR of 4.541% if you pay $1,975 in fees. If you’re in the market for a VA loan, you won’t have to pay any lender fees. The 30-year fixed-rate term is the most popular among first-time home buyers, but you can also choose fixed-rate terms of 10, 15, 20, or 25 years. Variable-rate mortgages come with fixed-rate periods of 3, 5, or 7 years. nbkc bank customers can access customer support via email, or through the central toll-free support phone line on 888.905.2165. Phone support is available during standard business hours, or you can use the online web form to request help outside of those hours. nbkc bank also has an information and resource center that is stocked with advice, calculators, and guides to nbkc bank financial products, but is frustratingly short on details about nbkc bank loans. Can I switch from an ARM to a fixed-rate mortgage? Yes, you may refinance your mortgage to switch from variable to fixed rate. Can I take out a mortgage with a co-borrower? Yes. You’ll just need to provide your co-borrower’s details when you apply. Am I able to apply for a mortgage with NKBC without having to upload documents to the web? Yes, you can bring documents into the branch if you live near to one of the 4 Missouri branches, or send them with an overnight courier. Do you offer mortgages in my state? Yes, nbkc bank offers home loans in each of the 50 states and Washington, DC. nbkc bank offers both purchase and refinancing loans, as well as VA and FHA loans, with a range of repayment terms. There are no obligatory lender fees, but rates are high compared with competitors. nbkc bank stands out for its excellent customer service, combined with the convenience of an online application.